FAQ - Sage Window Cleaning Inc. I can't see through my windows - help! ​Having a hard time seeing through your windows? Over time mineral deposits, hard water stains and buildup can create a film on your windows making it hard to see through and impossible to clean on your own. Sage Window Cleaning specializes in Bend glass restoration services. We have a history of restoring even the toughest glass projects. Give us a call for all your Bend glass restoration needs. We will be happy to meet with you and give you a free estimate. Call our office in Bend, Oregon today! When is the best time to have my windows cleaned? 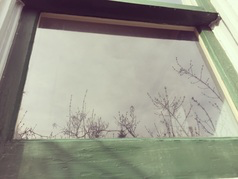 ​We get asked this question a lot and the very simple answer is: when you are sick of looking through dirty windows! We clean windows year round - rain or shine! We often find people like to get their windows cleaned at least twice a year, typically in the spring and fall. Others like to get them done every three months so it depends on what you prefer. Also, it is always nice to have your windows cleaned before a big event such as a wedding, graduation and before the holidays. We've written a blog about this very subject so if you would like more information please read this! ​For your protection and peace of mind Sage Window Cleaning, Inc. is fully licensed, bonded and insured.